Did you know that, since 2010, Library and Archives Canada (LAC) has held the Margie Gillis Dance Foundation’s audiovisual, administrative and promotional materials? 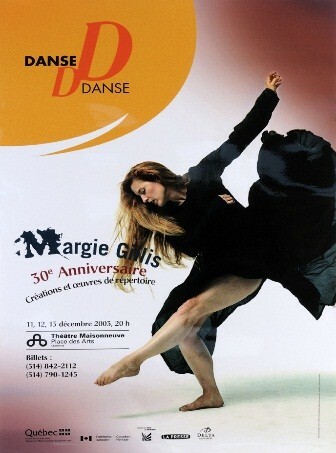 Dance performance advertisement featuring Margie Gillis. The Foundation itself chose LAC to preserve its documentary heritage as a result of a 2008 analysis report that strongly urged the Foundation to ensure the long-term preservation of its documentary heritage in a Canadian archive. LAC has more than 1,100 photographs illustrating the career of this internationally acclaimed Canadian contemporary dancer and choreographer. The collection features photographs by nationally and internationally renowned photographers and artists, including Annie Leibovitz, Lois Greenfield, Cylla Von Tiedemann, Michael Slobodian and Jack Udashkin. 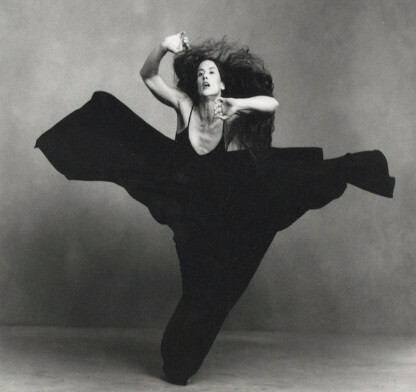 Black and white artistic dance photo of Margie Gillis. The archival holding also includes about 750 hours of audiovisual materials. This unique collection of recordings shows Margie Gillis’s choreographic and artistic work from the beginning of her career to today. Her dance performances in Canada, the United States and around the world are thus preserved for posterity, along with her choreography labs and rehearsal sessions, and a large number of media interviews and reports. In addition, the textual records, brochures and multiple posters in a variety of formats provide an overview of the activities carried out by the Foundation, which was created in 1981. The Foundation’s primary mission is to support, protect and promote the artistic vision of Margie Gillis, a pioneer and an innovator in contemporary dance. All the materials in the holding are accessible. However, they may not be reproduced or used without the Foundation’s consent. The fonds can be consulted online. For more information about Margie Gillis and her dance foundation, please consult the Foundation’s website. This entry was posted in Music and Performing Arts, Our Collection and Facilities and tagged audiovisual, Canadian, Contemporary Dance, dance, fonds, Margie Gillis, photographs by Library and Archives Canada Blog. Bookmark the permalink.